This 50,000 s.f. building originally served as the Depew High School. Decades later, it was acquired by Southeast Works, a not-for-profit agency that provides employment, vocational training and residential rehabilitation for developmentally disabled adults. For years the agency operated without significant upgrades to this building. In 2010, a major transformation began. We designed new façades with energy efficient windows & frames, and insulated wall panels. Sleek, metal canopies will provide protection from the elements at two, high-traffic entrances to the building. The façade now communicates the professional office that it is rather than a deteriorating institution. 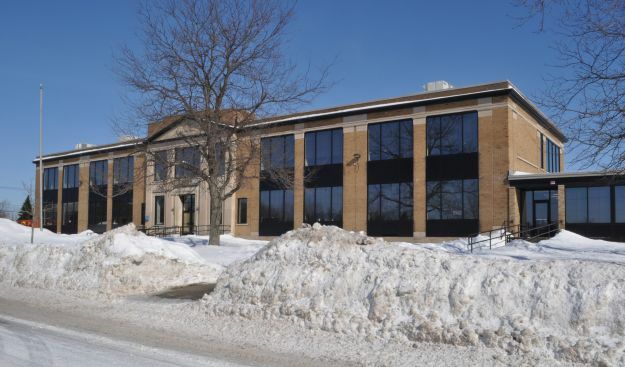 Interior renovations include new office layouts, new floor, ceiling and wall finishes, energy efficient lighting, as well as new high-efficiency heating and air conditioning.